TORONTO, ON, May 7, 2015/ Troy Media/ – If you’re like me, the most vivid combat images you have of the Second World War come from Hollywood movies. Whether it was John Wayne on Iwo Jima or Errol Flynn in Burma, heroism was very much the order of the day. And Americans were invariably at the centre of the action. Naturally, the historical truth was a good deal more nuanced, thus giving rise to considerable resentment in Allied quarters, the most spectacular instance of which was the virulent British reaction to Objective, Burma! Indeed, the offense caused by the perceived hijacking of the credit for the Burma campaign was sufficient to have the movie withdrawn from UK cinemas in 1945, not to be seen there again until 1952. But what about Hollywood’s participation in the reality of war, rather than in its mere celluloid depiction? Although some – most notably John Wayne – never served in the military, many did do their personal bit. Two particularly stand out. British by birth and upbringing, David Niven was pushing 30 and comfortably ensconced in Hollywood when the war broke out in 1939. Had he wanted to, Niven could just have stayed safely put, but that wasn’t his way. 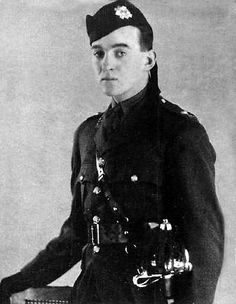 Instead, he promptly returned to Britain, joined the army, subsequently took part in the invasion of Normandy, and finished the war as a lieutenant colonel. When it was over and done, he returned to Hollywood to pick-up where he’d left off. 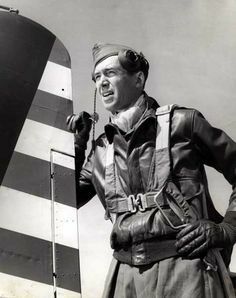 The American Jimmy Stewart was also quick to forsake the movies for military duty. Long fond of flying – he’d received a private pilot’s license in 1935 and a commercial one in 1938 – Stewart set his sights on being a combat pilot, even though his age and height/weight ratio (too light for 6’ 3”) initially created obstacles. When his military career appeared destined for an instructor’s role, Stewart wasn’t averse to expressing his unhappiness. Eventually, he got what he wanted – assignment to a bomber group and the responsibility of squadron commander, in which capacity he personally led 20 missions deep over Germany, hitting targets in places like Berlin, Bremen and Frankfurt. Mustered out as a highly-decorated colonel, Stewart remained in the Air Force Reserve until 1968, ultimately attaining the rank of brigadier general. And, of course, he made movies. If Niven and Stewart were two particular examples of Hollywood stars becoming war heroes, Audie Murphy was a war hero who subsequently became a star. His childhood had been a hardscrabble one, revolving around picking cotton for his poor sharecropper family in rural Texas and honing his ability with a hunting rifle. So when the war came he falsified his birthdate in order to enlist in the Marines. However, rejected as too small, he wound up in the infantry. By the war’s end, he’d won every available American combat decoration, including the Medal of Honor. And when Life magazine put him on its cover in July 1945, he instantly became a symbol of American virtue. Unsurprisingly, Hollywood beckoned. Post-war, Niven and Stewart enjoyed long careers that easily surpassed anything they’d previously done in the movies. But Murphy’s Hollywood experience was patchier, never quite ascending to the top rank. As for how the war affected them personally, Niven and Stewart tended towards reticence but generally seemed alright. Murphy, though, has been described as “a psychological mess of epic proportions.” Today, he’d be characterised as suffering from post-traumatic stress disorder.